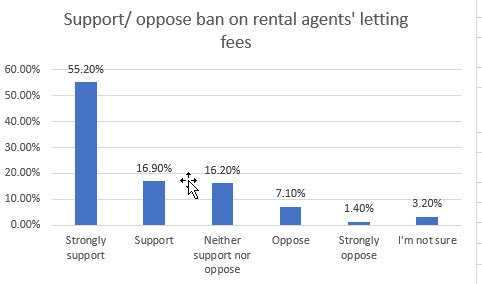 An overwhelming majority of New Zealanders support a Government proposal to stop agents from charging letting fees for residential properties. 72% support the idea. Just 7% overall oppose, a Horizon Research survey finds. The poll of 1,343 adults nationwide, finds 16% are neutral and 3.2% not sure. 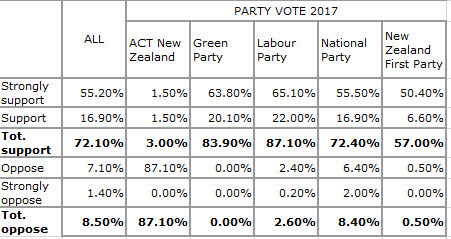 National: 73% support, 8% oppose. Submissions to Parliament's Social Services and Community Committee on the Residential Tenancies (Prohibiting Letting Fees) Amendment Bill closed on Wednesday 28 May 2018. The Committee will consider the Bill and report back to the House of Representatives by 5 October 2018. The Bill amends the Residential Tenancies Act to prohibit the charging of letting fees to tenants. The Bill can be found on the legislation website: http://www.legislation.govt.nz/.